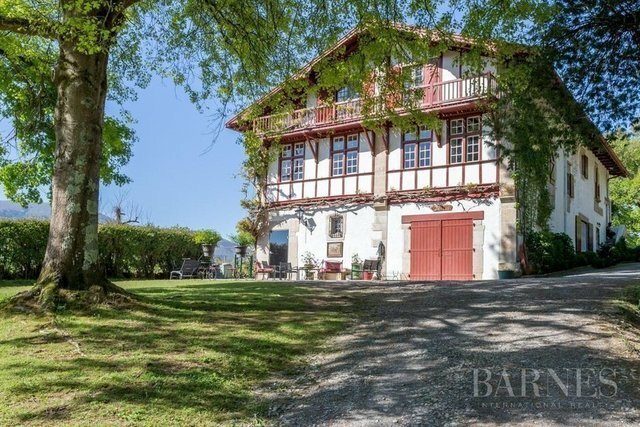 Ascain, close to Saint Jean de Luz, 2 hectares property with an outstanding mountains view and located in a dominant position. Dependences, 2 docks for horses. Swimming pool and pool house.